I think nowadays you can find many accessories made out of lace. I have been thinking about photo shoots (yes, already now..) and accessories for my black lace dress. 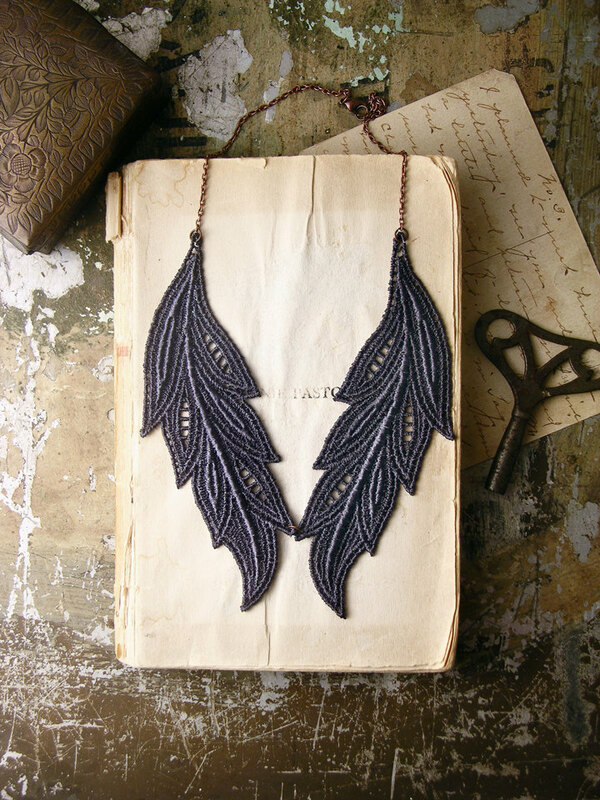 I think this lace necklace made by White owl looks pretty nice. I´m not gona use necklace with my lace dress. I think maybe something like these made by Totus Mel Tats would work out nicely. Or maybe I´ll try to do something by myself. Any ideas?